If you have questions about our locksmith service in Spring or just need an professional advice, please feel free to call us! 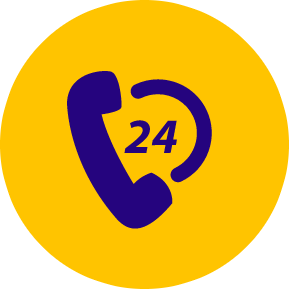 Our lines are open 24/7! We offer a wide variety of locksmith services from any sector whether that is residential, automotive, commercial, and emergency. We can rekey any locks if it is a door knob or dead bolt to a Medeco commercial lock cylinder. We install high security locks as well such as access card systems, keyless entry pads, and panic bars. We can help you with car key replacement for most makes, models, and years of any vehicles. We can save you from any lockouts at any time. Do not hesitate to call us for any locksmith service. If there are any damaged locks from a break-in, old or worn locks, or if it has been several years, your security is being compromised. Your home is your space, and your security is of high priority. We will save you the hassle because our technicians know exactly what to do to get your residence or business back to optimal standards. Our technicians are licensed and insured, but that is just the beginning. Our locksmiths meet more than just the mandatory qualifications. They are knowledgeable about locks and that is their passion. They have experience working with all kinds of projects and are constantly continuing education to keep up with the latest tools and machinery. You will be glad you rang us, because you will receive locksmith service that has technicians with skill and integrity.